CATCH OF THE DAY: Marshmallows (specifically the respective sub-division of Veronica/Logan shippers), today is your day to feel the feels. Since we have all recently undergone an intense 64 episode re-watch in preparation for the Veronica Mars movie, it's no surprise we've found some parallels within the series that will only amplify your love for "LoVe." 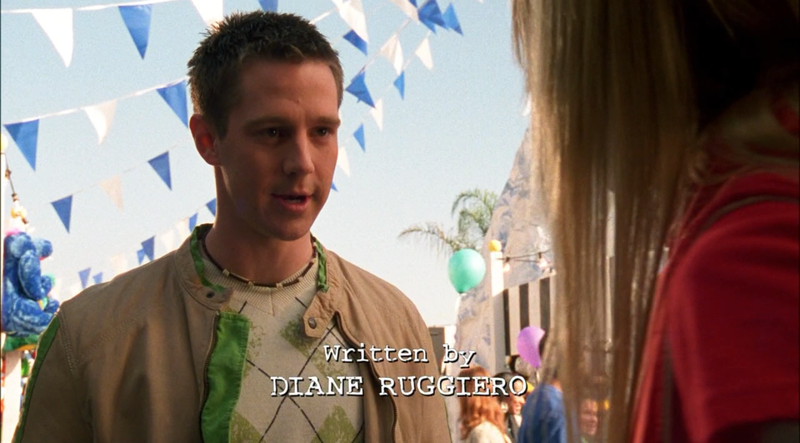 In Veronica Mars Episode 2x13, "Ain't No Magic Mountain High Enough," Veronica and Logan are very much broken up. After their Season 1 fling and their subsequent anti-climactic break up in the Season 2 premiere, the two rarely interact in the episode at all aside from their brief exchange of special made 50 dollar bills and blue ice-cold frozen sugar water. Hanna: "You don't take Physics, do you?" Logan: "I have a tattoo of Newton's Second Law right on my heart." Now this may seem like a typical witty Logan quip, but to the scrupulous Team Logan eye, memory takes us back to Season 1 Episode 20. If you aren't aware of the make-out scene between Veronica and Logan in the girls' bathroom in episode 1x20 "M.A.D.," we'd say another re-watch might be in order. In this scene, Logan is late for his Physics class, so Veronica begins to rattle off (rather adorably) some Physics factoids, one being, you guessed it, "force equals mass times acceleration," alternatively known as Newton's Second Law. It looks like Logan didn't really miss much in Physics that day.